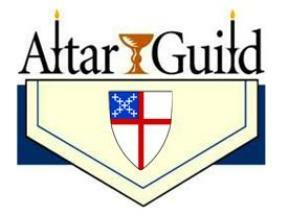 A crucial part of our worship together, the Altar Guild prepares the Altar for all the liturgies of the parish, maintains the vessels and special linens used in our celebrations, and works with our Flower Guild in adorning the church for all the liturgies and special seasonal celebrations throughout the year. Teams serve on a rotation schedule, generally serving about once a month. Men and women of the parish are invited to participate in this ministry by contacting the Parish Office at 732-222-1411. Flowers may be placed on the Altar in loving memory commemorating the anniversary of a death; or in thanksgiving for a birthday or wedding anniversary, graduation, a promotion, a baby’s birth, etc. During Lent and Advent, flowers are omitted from the Altar. However, a Sanctuary Lamp (which burns for one week) may be given. Arrangements may be made by contacting the parish office. The members of the Flower Guild work along side the Altar Guild to arrange flowers at the Altar and throughout the church for Sunday Masses and during the seasons of Easter and Christmas. 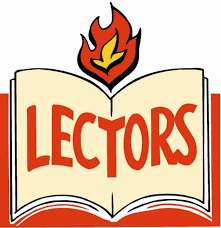 Lectors are responsible for reading the assigned lessons from the Holy Scripture at each service. St. James’ Lectors are dedicated and dependable participants in the worship of our parish. Ushers and Greeters work on a rotation schedule welcoming people into the church, handing out bulletins, assisting with the flow of communion, and are available to answer visitor's questions. Men, women and young adults are invited to participate in this ministry by contacting the Parish Office at 732-222-1411. Music has always been important at St. James’ Church, and today our music program continues a long tradition of excellence. Visit our Music at St. James' page to lean more about our music program, hear offerings from our choir, and view our list of concerts for the upcoming season.